Shocking it is a cowl. 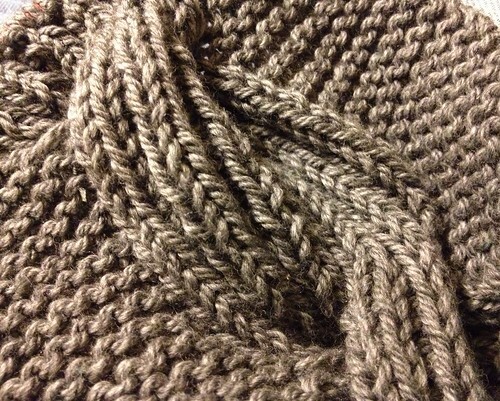 I’m using the Millwater pattern, Spud and Chloe yarn, and the Counter Man App. 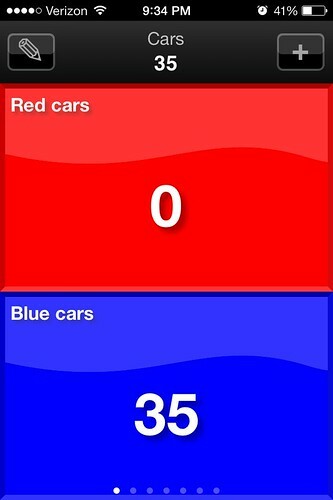 It is cracking me up because its default is to count cars in two colors. My nephew loves cars and lining them up in matching colors so I left it that way even though it makes no sense for knitting. This entry was posted in Knitting and tagged Infinity Scarf, Millwater, Spud and Chloe. Bookmark the permalink. The counting cars is hilarious! I’m enjoying watching the slow march to 1,000 cowls. The cabling on this is so pretty and I love Spud and Chloe yarn. Excited to see it come off the needles!